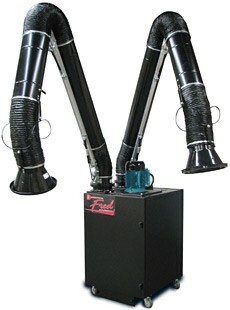 Contaminated air enters the collector above the filter cartridges. 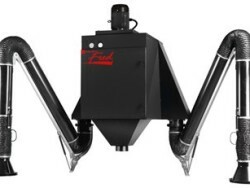 Specially designed components in the cabinet uniformly distribute the contaminated air across the top of the filters.The contaminated air flows downward at a steady velocity. 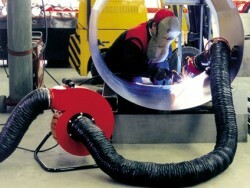 Dust is conveyed to the settling area below the filters by both air flow and gravity. 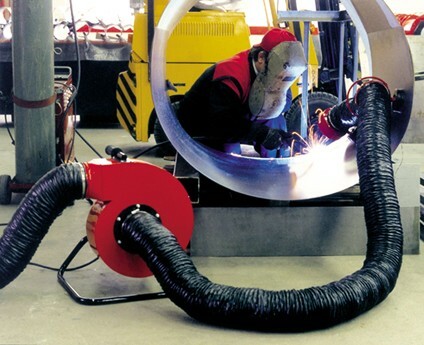 Extremely small particulate is collected on the filter media, allowing clean air to return to the workplace or outside the environment. 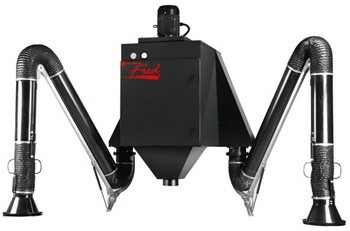 Once particulate collection on the filters is sufficient to reduce air flow, the patented reverse jet pulse cleaning system propels the collected dust off the filters and into the settling area. 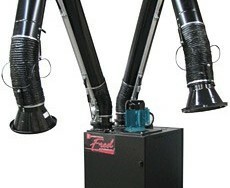 The C Series utilizes patented downflow verticle technology to minimize dust re-entrainment and extend filter life. 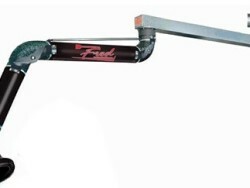 Carefully managed inlet air velocity ensures that the air only flows downward never upward or sideways. 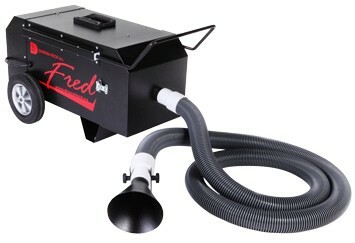 This prevents air movement below the filters where the dust has settled and results in effective cleaning while the collector is operating and shut down. 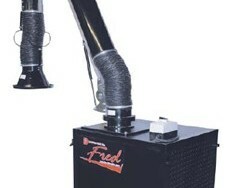 FRED 02 portable dust & fume collector with 7.5 HP fan (1,800 cfm) & (2) 7″ x 10′ adjustable flex arms. 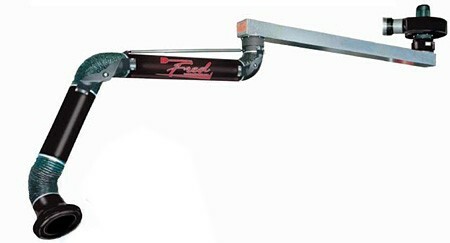 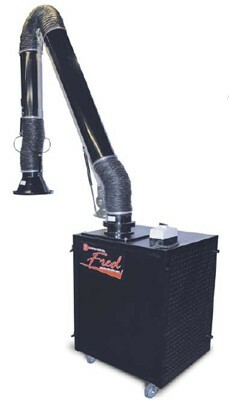 FRED 02-C ceiling or wall mounted dust and fume collector with 7.5HP fan (1,800cfm) & (2) 7″ x 10″ adjustable flex arms.